I wrote this today as an exercise. I’ve had a lot of mixed feelings about “church” for quite a while and I needed to see if I could express the central issues quickly without overthinking it. So I used this great tool called 750words.com. Click the link at the bottom to go to a report that will tell you a bit about this short essay in terms of it’s “mood” and the time I took writing it. All that to say: Don’t take any of this too seriously. Though I did earn an MA in Theology 12 years ago, this is not a theological statement or something that requires “action” or a 95 Theses of any sort. Nevertheless, I decided to share it because I’d love feedback. I have a feeling it will ring true with a lot of folks. I’m a firm believer that any “problems” that I’d like to externalize really actually have to begin from within me. Yes, there are unavoidable circumstances in life which are completely unprovoked, but the majority of our complaints about life start with things we perceive, our perception of how things ought to be. So when I say that Church is hard for us, I have to take a step back first and say “Well, that’s primarily because I don’t know what I’m looking for.” Or a miread of other factors that all begin with MY perception, and not “Church” per se. For example, I know that our specific dillemma begins with the fact that we have a wide variety of close friends which are each invested in different faith communities. That’s a circumstance of our situation. Is that the “problem”? No. The problem is that we can not choose. Perhaps out of fear, or insecurity, or lack of focus or direction. But the problem is not with our friends or why these various communities don’t commune together (though I’ll get to that in a bit as well). Another example of why it begins with me. I am a product of my culture. I’m addicted to visual stimuli and desire passive entertainment. And yet, I’m aware of that and criticize churches that cater to that reality. 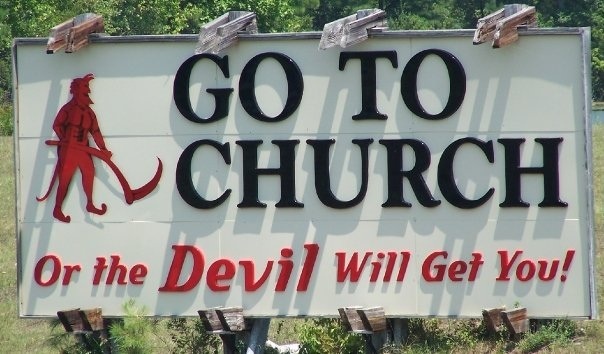 I guess I want church to be an escape from life in some ways. I want church to be a retreat from my hum-drum and my addictions. But is “church” supposed to be a balm to my problems? A retreat from reality? I don’t think so. In many ways, church is supposed to help you dig your roots into that reality and produce fruit from it in ways you didn’t think were possible. Again, I’m getting ahead of myself, but that purpose challenges my assumptions about what I think I should be “gaining” from a church experience. All of that to say: When I think about the fact (and it is a fact) that “church is hard”, I have to look first at myself and wonder what it is about me, my addictions, my expectations that makes church hard. This next thought is not a researched and analyzed analysis of “life in the city”. Instead, it’s my own reflections on living as a family of 5 in an Urban environment. Many theologians highlight the significance of cities in the Bible. I think it was Ray Bakke that said that the Bible begins in a Garden but it ends in a City. That’s a great aliteration. But does it ring true to city life? In my experience, life in the city is unavoidably overly busy, booked, controlled, and unavoidably unfriendly to neighborhood fellowship. Hmmm… well I don’t want to convolute “life in the city” with “life in a post-industrial society”. The fact that our schools are in one place, work is in another, extended family is somewhere else entirely, and close friends overlap all of those places is not unique to the city, but it definitely feels accentuated in the city. This makes the “event” of church (meaning the Sunday morning experience) tertiary to everything else we do every day. It’s another item on the agenda, and it’s often at the time when we are the most tired and ready to collapse. Lastly — and I just hinted at it anyway — church is just another event in an already busy life. I don’t have the feeling that my family needs more “events”. I have the overall feeling that my family needs more “experiences”, specifically with God, specifically with friends and family, specifically with friends and family who are the iron sharpens iron kind in this God-journey. SO WHAT WOULD MAKE CHURCH EASIER? I have a close friend with whom I been talking with regularly for the past few years specifically about community and about the Sunday morning experience. He and I share a passion for our God-journey’s to be part of our lives, not just a weekly event. He’s fortunate enough to be a full-time minister and so he has been answering that desire by consolidating his friends and his schedule around his ministry. This feels very much like the Acts-type community experience: Christians working together, sharing together, eating together so that Sunday mornings are just a natural expression of everything they experienced through the week. It makes perfect sense for him. But I recently confronted him by saying: “You have the privilege of being able to do that because of your ministry position.” Professional ministers often see a vision of community which is entirely possible for them, in their privileged positions, but is entirely impossible for those in the work field, or who are not surrounded by like-minded Christians every day. In many ways, I wish consolidating my life around Christian community would make Church easier; but the truth is that my bills wouldn’t get paid. Please take me seriously when I say that. Many ministers/theologians/young idealists would challenge me in my faith. Trust me though, the idealist in me wants to say “Of course you can do that, they did it in Acts and all the bills still got paid!” I’m sorry, but I don’t believe my faith is tied inextricably between me wanting to provide for my family and choosing a Sunday event or not. In light of that, what I think would make church easier is one thing: locality. I have another close friend who has been leading a bible study in his home only for his neighbors. He’s built relationships with them over the years and finally felt comfortable just having them over to talk about all the crazy stuff that happens in the Gospel of Mark. That feels like church to me. Interesting article and very well said. I am grateful for what I have found. Take care and thanks for your article. Hi Stephanie, thanks for your comment. It is a gift to have a faith community that you and your family really love and feel “at home” at. I think it’s not the norm in bigger cities like San Diego. Hope to see you around here more! Being a theology nerd myself, and having been on staff at a few churches, much of what you’ve written resonates with me…but there seems to be something missing from what you wrote. You’ve talked about what you expect, and what you receive, from church…how about turning that around? I don’t go to church to be a consumer. Certainly there are relationships to be formed that will benefit me, but my primary purpose in going to church isn’t to get something. It’s to give. Paul pointed out that the Holy Spirit gives gifts to each of us, designed to build up the Body of Christ. If you aren’t getting together with other believers at some point, you aren’t in a position to do much with your gifts…so you might as well not have them at all. You may have simply truncated the issue a bit to write the article, which is understandable…but it’s worth considering: have you made church about you alone, and not about those who need you most? Thanks for your perspective Tony, and that is a very popular perspective among Evangelicals. Without rehashing the whole article, I’d just say that Yes, my very first point was intended to convey basically what you are expressing. If I have a problem with Church I need to look at myself first. And yes, as I made clear with my link to 750words.com, I wrote this article in order to get thoughts out quickly that have culminated over years, so it is not complete at all. But I think what you may be missing is that it is exactly how Church caters to folks who WANT to only consume rather than serve that is irksome for me. Also, my one short “answer” is that having church with neighbors makes a lot of sense because then I am able to worship with folks who I can also serve daily. I’m certain that all of this nuance was lost in my quick writing, but that is a glimpse into more of what helped inform this article. Hope to hear more from you Tony!